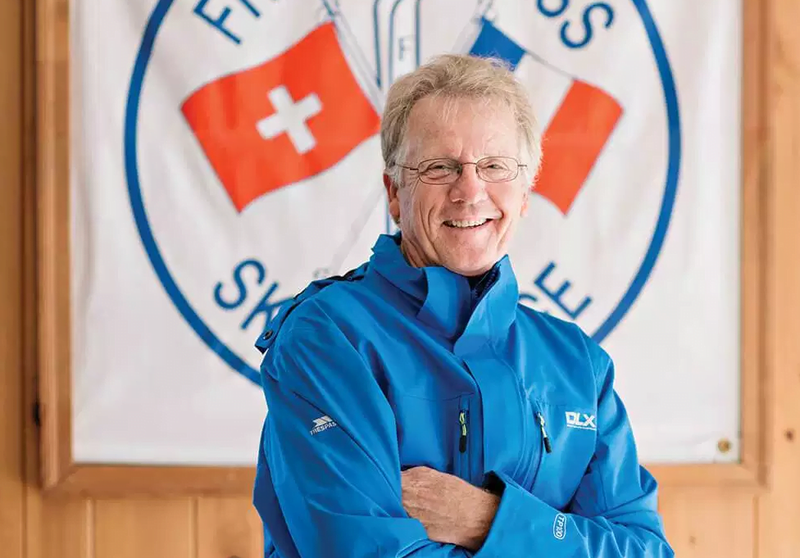 I was enjoying a day with my wife and youngest daughter at Appalachian Ski Mountain on Wednesday when I spotted long-time instructor and founder of the French-Swiss Ski College, Jim Cottrell on the slopes. Even though I was here for a skibum getaway day, I couldn’t pass up a chance to have a quick chat with Jim. He was busy coaching up some of his instructor staff; something that he shared that they do “all the time”, so out of respect I didn’t want to interfere. However I did stalk them for a few trips down the mountain and then jumped in when I saw a chance to speak for a moment. 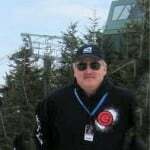 I quickly said “Hi” and mentioned that I was just out playing today, but that since January is National Learn to Ski & Snowboard month, that perhaps we could have a short chat. What I didn’t expect was that I’d spend the next twenty to thirty minutes enjoying his company and even getting a bit of a lesson. Jim was very gracious with his time. 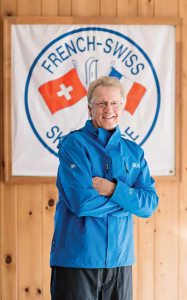 For those unaware, Jim Cottrell founded the French-Swiss Ski College back during the 1968-69 season (this is their 51st season) and in that time he and his staff have taught over a MILLION lessons at Appalachian Ski Mountain. Much has been written about Jim Cottrell, but the short of it is that he and his staff have trained the military, countless Jr. Race Teams and the aforementioned one-million-plus skiers and snowboarders how to enjoy the snow. For more information, you can visit the French-Swiss Ski College website. As I have already mentioned, I was not planning for an interview so I didn’t have camera equipment or ‘interview notes’ and to be honest I wasn’t thinking about camera angles or ‘the best shot’ as I first began speaking with Jim. However, I did have my GoPro running so hence the video below! Don’t judge me on the camera moving all over the place for a bit! It dawned on me about two minutes in that I needed to check the frame! Haha.